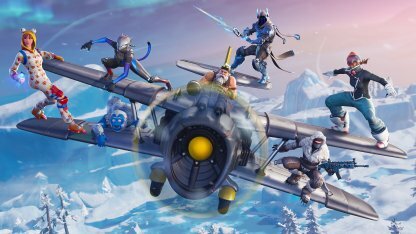 Fortnite Battle Royale's Season 7 transformed the map to an all new winter wonderland! 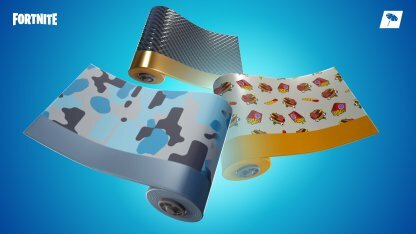 Find maps, new locations including Iceberg, Frosty Flights, Polar Peak, Happy Hamlet & more! 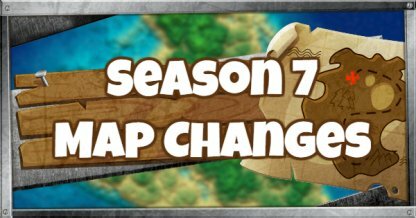 What's New in the Season 7 Map? 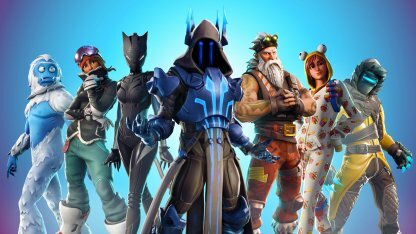 Fortnite's Season 7 brought dramatic frosty changes to the map! 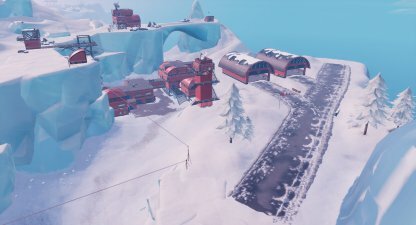 About 1/3 of the map has been transformed into a snowy locale; frozen mountain caps, airports and all! 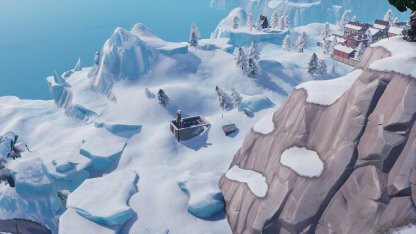 With a gigantic Iceberg colliding with the Battle Royale map, about 1/3 of the map has been changed to an all new frosty biome! The Iceberg brought with it a completely frozen icy airstrip named the Frosty Flights. 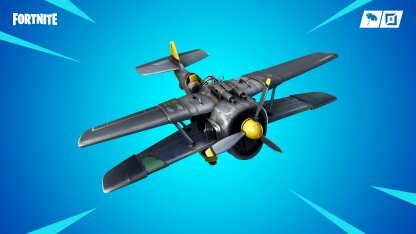 You can also find the new X-4 Stormwing Plane here! 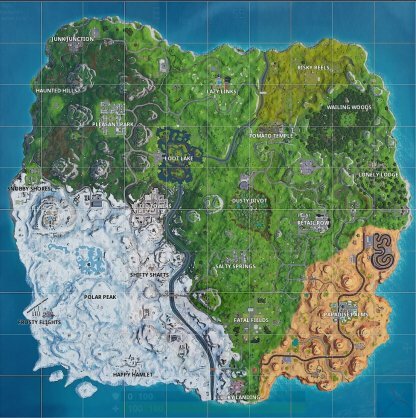 Frosty Flights is located at the south west edge of the map. 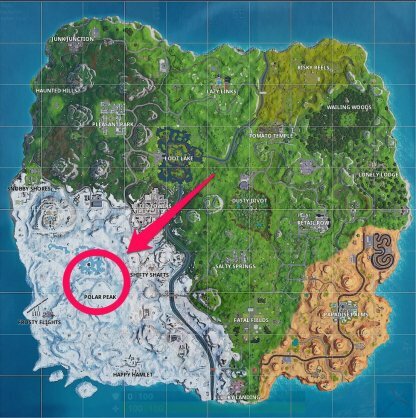 A chilly ice cap named "Polar Peak" can be found in the center of the Iceberg biome. The zone comes complete with its own frozen lake you can slip and skate on! 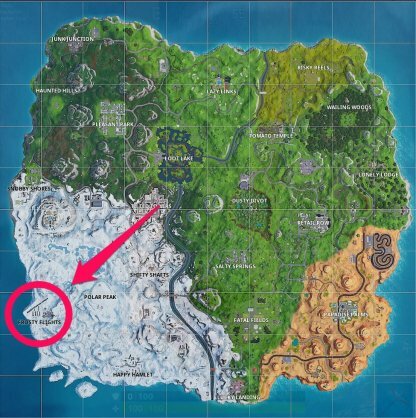 Polar Peak is in the southern west side of the map, in the center of the Iceberg biome. 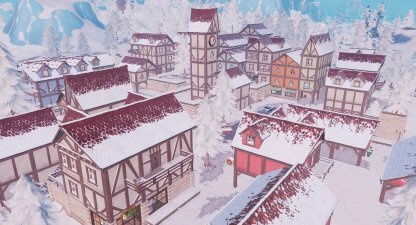 A merry snowy town of Happy Hamlet has also appeared near the southern edge of the map. 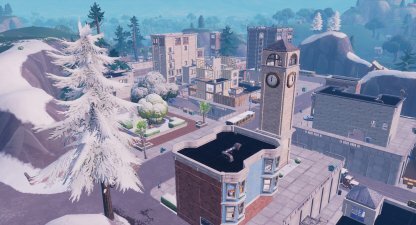 This area has replaced the previous Flush Factory! 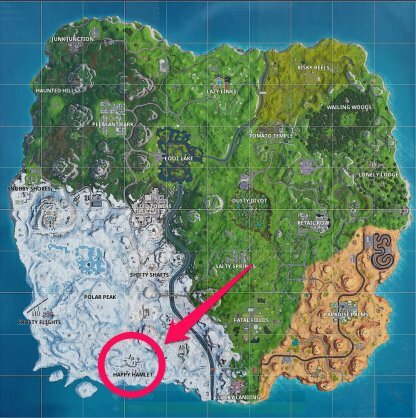 Happy Hamlet can be found in the south edge of the map, located to the west of Lucky Landing. 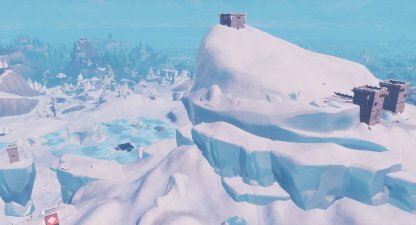 Classic Battle Royale locations such as Snobby Shores, Tilted Towers, Lucky Landing and Shifty Shafts have gotten a wintery makeover! Certain section of these areas are now covered in snow, and have been slightly modified. 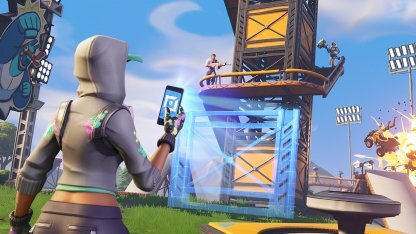 Only the roofs of some building remain of what was Greasy Grove. The whole area seems to have sunk into a lake that has frozen over, giving visitors a chance to try their skating skills. 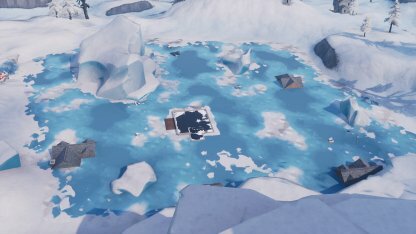 The victim of an unfortunate of the Iceberg, the toilet factory of Flush Factory has become displaced to the north and buried under several feet of snow.